For questions related to your water or sewer bill, request your water to be turned off/on, check for leaks, general inquiry or transferred into another name, please call (317) 837-0000 to make arrangements. For sewer inquiries relating to back-ups, please contact DPW at (317) 839-3490. For after hours emergency requests to turn water off/on, sewer back-ups, etc., please call Dispatch at (317)839-8700. To tap into Plainfield Water, you must first pay the $1,255 tap and inspection fees at Town Hall. Secondly, you must schedule a tap inspection with DPW at (317) 839-3490 to take place as you are making the tap into town water. The Town Standards are located at the DPW "Objectives and Standards" link of the website. You may schedule a meter set with Town Hall at (317) 837-0000 when you pay the tap/inspection fee or at a later time. To schedule a water or sewer service line inspection of a newly installed service line or repair of service line, please call Plainfield DPW at (317) 839-3490. 24 hour notice is required. To view the latest Water Quality Reports, click here . Q: What is a flushing operation? A: Water main flushing is a routine operation done to clean and maintain our water system. During this activity, water is forced through underground water mains at high speed and flushed out of the fire hydrants to remove accumulated sediment. This flushing is done until the water coming out through the main runs clear. This is done one section at a time until each section runs clear. This operation can take a few minutes to several hours. Q: Why is this maintenance important? A: It is a mission of the Town of Plainfield Water Distribution Department to provide a reliable, safe drinking water supply. A flushing program is used to improve water quality, restore water pressure and protect pipe integrity. Part of the program also involves testing valves and fire hydrants to ensure they are operating properly. The Town of Plainfield Water Distribution Department maintains approximately 300 miles of distribution pipelines and 2500 fire hydrants. Q: When will the flushing maintenance be conducted? A: To minimize impacts to water service, this maintenance is generally scheduled during working hours (8 a.m. to 4 p.m.). Schedules may change if something happens in the system that requires immediate attention or repair. Q: What will happen in my neighborhood? A: During flushing operation, residents may hear water discharging with force from the hydrants and see water flowing in the streets. Drivers are asked to take extra care during this time so as to avoid hydroplaning and other hazardous conditions. Q: What will happen in my home or business? A: When crews are flushing the water system close to your residence or business, you may experience temporary periods of low water pressure. Flushing operations may also lead to brown or discolored water, which can be drawn into homes and businesses if the water is being used during or immediately following the flushing. This is a temporary condition and should only affect customers for a few hours at most. The discoloration can stain porcelain and laundry. It is best to make sure our water is clear before doing laundry or other projects for which discolored water could cause problems. If discoloration occurs, open the cold tap nearest the water main—usually the front outside faucet—to full flow and run the water into your garden or lawn for a few minutes until it is clear. If the water does not clear the first time, wait a few minutes and run the water again. Also, it is important to not run hot water if you notice it is discolored, as the discolored water as the discolored water can be drawn into the hot water tank. A: Yes. The temporary discoloration is caused by minerals and other fine particles, such as iron and manganese, which are not harmful to your health and are found in every drinking water system. Q: What is the schedule and how can I be notified? 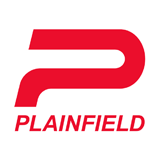 A: The tentative schedule and updated information is available on the Town of Plainfield’s Facebook page and Twitter account. Q: Doesn’t this flushing operation waste water? A: To clean the pipes effectively, water must be discharged from the fire hydrants with sufficient speed and volume. The flow is stopped as soon as the water is clear so that only the amount needed to clean the system is released into the street. Safety, regulatory and logistical considerations prevent us from capturing this water for reuse. Q: How often is flushing conducted? A: Flushing operations are conducted once a year in the spring. The areas of our system that have dead-end mains, where water can become stagnant, are flushed twice a year. The entire system is flushed every year in the spring.